There's very few things that I'd miss the first episode of Great British Bake Off for. If you forced me to make a list right now of acceptable reasons for missing Mary Berry it would consist of pie, good friends and Restaurant Week! Funnily enough those three things all came together last Wednesday and so I found myself ditching the TV in favour of an evening at Red House just off Newcastle's Quayside for pie, wine and banter with some of my favourite ladies - Sam, Ash and Katie. Past Restaurant Weeks have always consisted of date nights with Simon so it was lovely to get together with friends to enjoy a "girls only" evening, at a venue that all our other halves were very jealous of. I've mentioned Red House on the blog before, it's somewhere I've visited a fair few times and is one of our top suggestions of places to head if we have people visiting us. 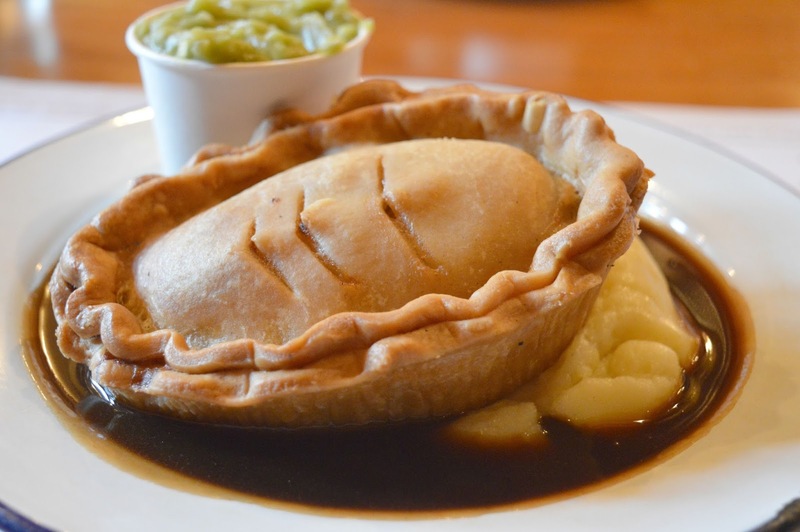 It's hearty menu of generously filled pies is enough to satisfy any appetite and we are always keen to show off the beautiful food and great surroundings. 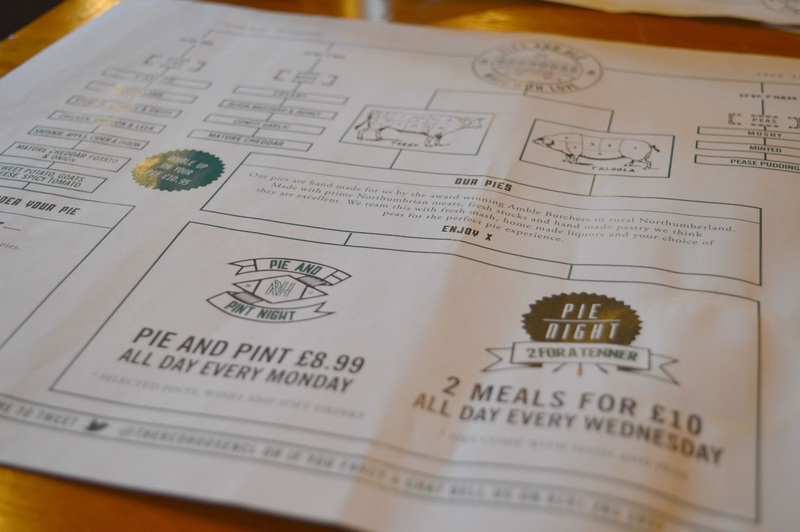 The Restaurant Week deal was Pie and Dessert for £10.00 but when we arrived the guys at Red House pointed us in the direction of their usual Wednesday "Pie Night" offer where you get two meals for £10.00. Much appreciated by us as it meant saving even more money! 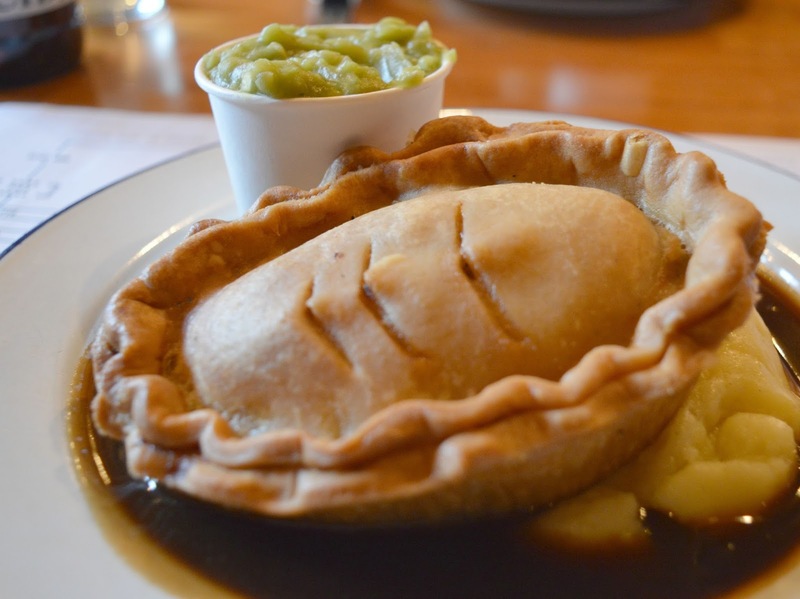 The pies at Red House are hand made by local butchers, Amble Butchers and there are some really delicious pies to choose from which always makes ordering a little tricky. Not only that but once you've finally picked out your pie you then have to pick your mash, peas and liquor to go with it. After a little bit of mind changing I went for the Sausage, Apple, Cider and Onion with Mature Cheddar Mash, Mushy Peas and Meat Liquor. I'm pretty sure this is what I order every time I go, but it's just so tasty! The food arrived piping hot and every inch of our plate was covered in delicious looking food swimming in liquor. It's definitely a good idea to arrive at Red House feeling very hungry! Being ladies who love our food we all managed to polish off our meals with no problem although there was no way we could fit in a dessert. I'm always a little upset that I can't manage pudding at Red House. I'm desperate to try the Jam Roly Poly but yet again I wsa left hoping that maybe next time I'll be able to squash it in! If anyone made it to Red House during Restaurant Week and managed a dessert as part of their offer menu I'd love to hear how you managed to fit the extra food in - I need tips! Sounds delicious - I haven't eaten in pie in so long! Such a good offer on a Wednesday. Food looks good and suitable for a hump day! We must have a similar blogging schedule :). Was a great night and the pies were so good. Thank you for missing GBO for us. I've been dying to try this place after going in for drinks and nosing at the menu and now I've seen this I'm definitely getting there soon! I do love a good pie, what great value for money! Gotta love a pie... I think i'll have to get myself down there v soon!